Imagine A World Where All Your Solicitors' Leaning Compliance Progress Is In Just One Place! It is difficult to keep an eye on all your team at the best of times. With the new SRA competency statement in full flow, you will know that all solicitors must keep themselves “continuously” up to date and reflect at least quarterly on their learning achievements. Have all your solicitors taken their SRA Self-Assessment? Our new platform plans, organises and reports on training directly to you and your solicitors. Using a bespoke algorithm, our software will draw up a training plan for your solicitors based on their particular requirements. It will suggest learning pathways to follow suitable for their needs and remind them to take whatever steps their training plan advises. 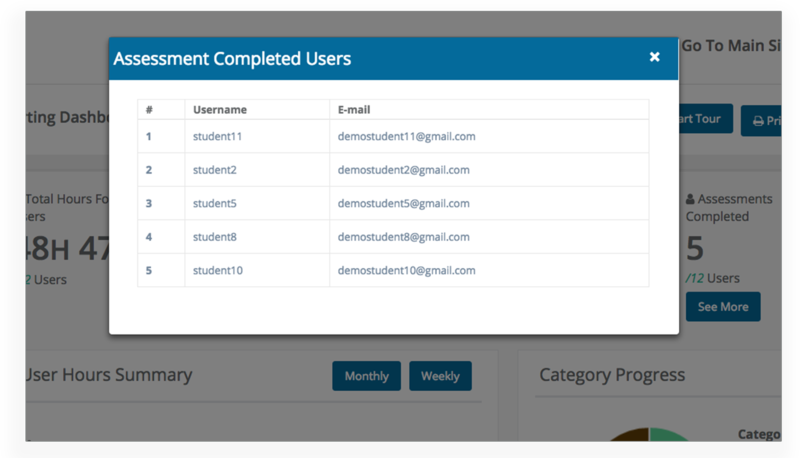 All their learning tasks are automatically recorded in our system as well as learning they get elsewhere. 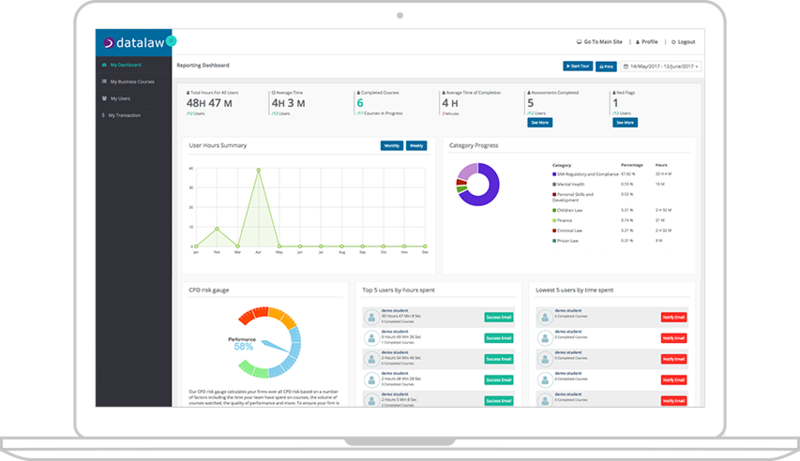 Using a bespoke algorithm our software creates a “risk score” for your firm benchmarking your firm against SRA standards to ensure that your firm is meeting requirements. 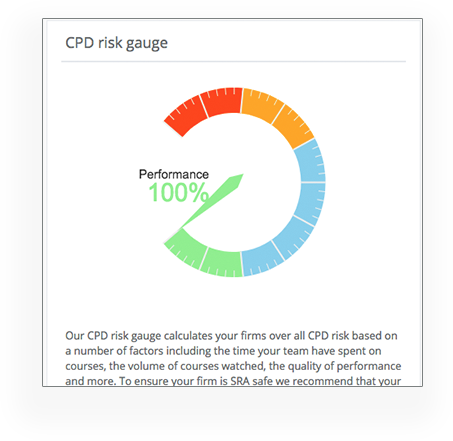 View your firm's performance based on a number of factors including the time your team have spent on courses, the volume of courses watched, the quality of performance and more. Busy fee earners often don't allocte time to stay up to date on CPD, unless there is a CPD deadline! 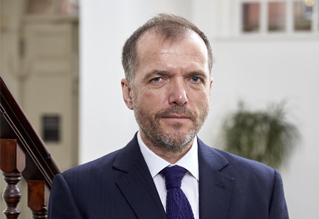 With the new SRA continuing comptence in place it is more important than ever that your solicitors are reminded to put aside some time each month to do CPD training. Reflection and self-assessment is a paramount step for your solicitors to take in order to complete their mandatory SRA Competency Statement. Get a quick-list overview of who has and hasn't taken thier SRA self-assessment. The SRA CPD changes mean that CPD is no longer just a tick box exercise. 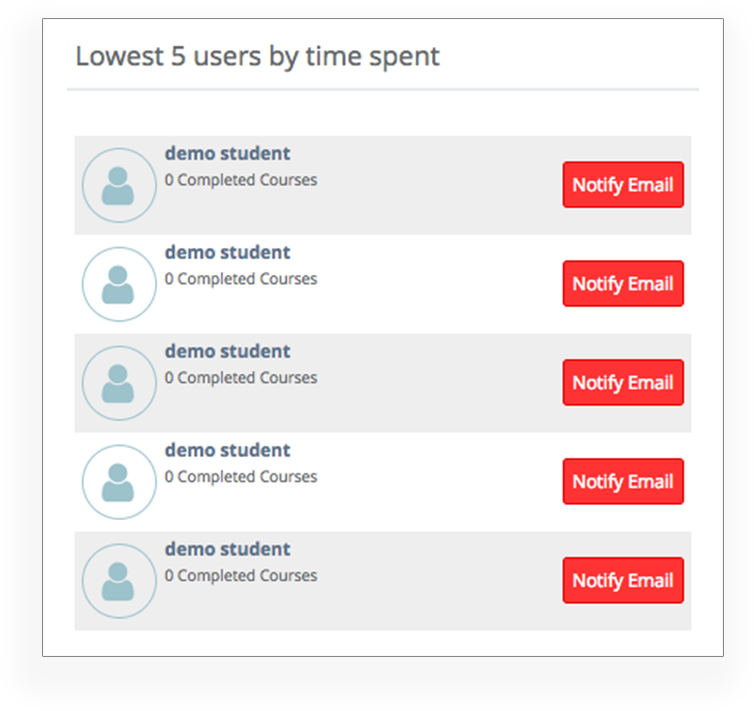 Our intelligent red-flag tracker automatically spots any solicitors who may be taking advantage by just ticking the box without actually watching the course and flags this up in the practice managers dashboard. Create a new solicitors, assign a solicitors to a course, view a solicitors CPD progress summary, message your solicitors and so much more all from one platform. Practice managers have the power to view a solicitors invidual training progress and self assessment answers at the touch of a button. 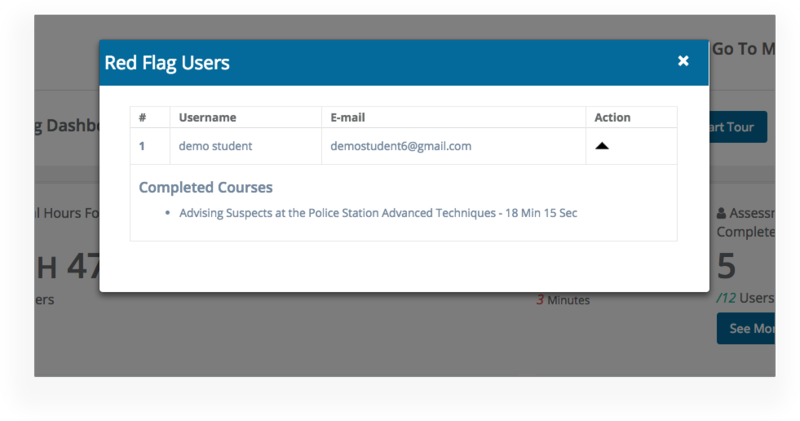 Our CPD Competency Platform is packed full of other useful features. With the “Access All Areas Subscription" all training is included in the package at no extra cost, so now you have the power of complete control over training budgets and all your solicitors in one easy system. The quote above is from Stuart Nolan one of the most highly regarded criminal defence lawyers in Britain. Stuarts team at DDP Law were one of the first firms to adopt Datalaw's new platform and with their feedback we have ensured that all our features are solicitor friendly. Get Instant access to a free webinar for Practice Managers including content on the new SRA changes, how they affect your solicitors and what you can do to ensure your solicitors are SRA safe.